1. 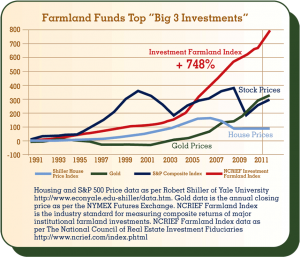 Farmland Appreciation – Land Value increasing over time. 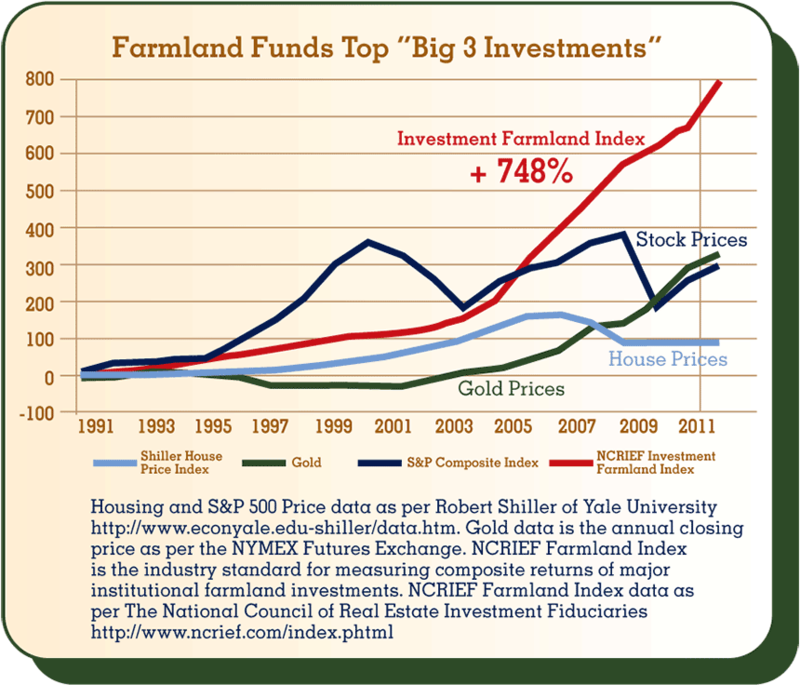 Farmland has been increasing steadily for over twenty years and rapidly since about 2003. This is a tangible investment with lower risks and higher returns. 2. Cash Rents – Dividend Payments, Annual Rents Charged to the Farmer. A farmer will rent your farmland to grow their crops. You will receive an annual check paying you rent for the use of your farmland. Cash rents on average are 3%-7% of land value.